This SPECIAL OFFER gives you access to Two premium content packages and you save $15!! Read on for all the details. 1- You get the ULTIMATE ECG GUIDE. PLUS if you order through this special promotion page you will get access to the 15 LEAD ECG Training. This is a $15 value but you get it free through this page only! 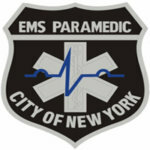 So 12 leads have been in place for a while and the STEMI Programs are rolling out across the nation, but is there something we left out? Protocol guidelines outline a standard treatment plan for all patients with Acute Coronary Syndromes. But is it right and safe for ALL cardiac patients? Studies also show that 50-54% of patients with an acute MI will NOT have ST segment elevation anywhere on the 12 lead. 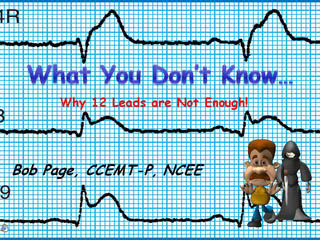 Evidence points to significant and even life saving information that can be gathered by acquiring additional leads. Sign up for this video training as we look at the evidence, review actual cases, and have a fun filled, eye opening experience that is sure to change your practice. As the song goes, “What you don’t know, might hurt them!” Discover what you didn’t know, you didn’t know! Study report “Assessing the Diagnostic Value of an ECG Containing Leads V4R, V 8, and V 9″ The 15-Lead ECG” to really bring home the content presented in this webinar. 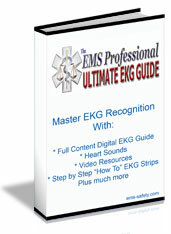 Get access to all the above as a special bonus for claiming the Ultimate ECG Guide. Remember this is only if you order through this special page. Go and claim your access today. This entire bundle is only $9.95 – and it comes with a 30 day money back guarantee. Be the first to review “ECG Training Bundle SO” Click here to cancel reply.